Are you looking to do away with rigid spatial boundaries in order to be able to accommodate your customer's new dream bathroom? 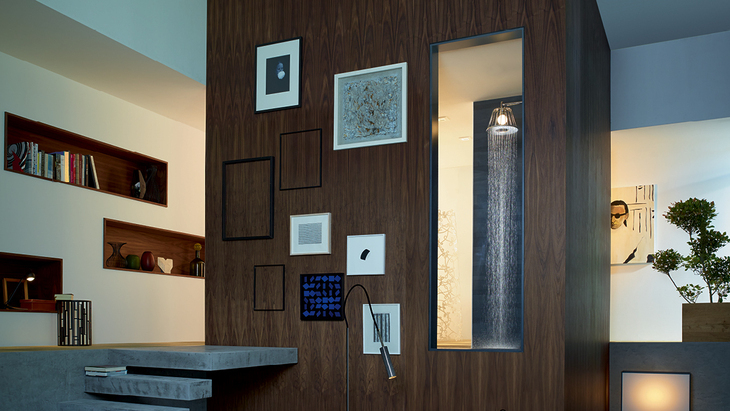 Create a visual link to the living area and impress your customer with the sense of open space that this conveys, e.g. using a window to visually connect the living room and bathroom. 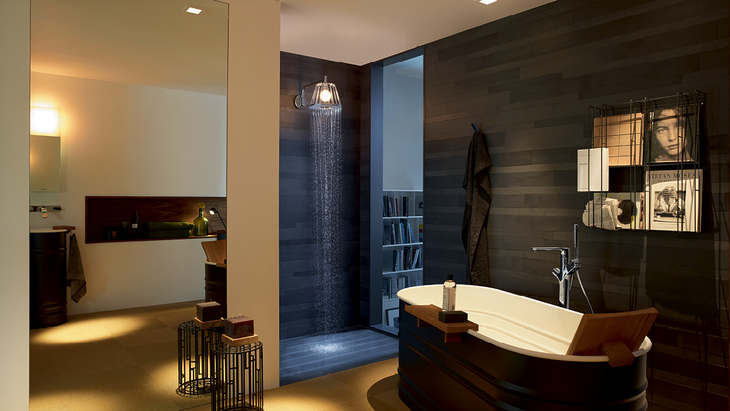 The bathroom can be envisaged as a room within a room, yet it is also closely linked to its surroundings. A homely feel and a well-thought-out lighting concept help create a place of tranquillity and relaxation. When planning, you should go for natural materials, warm colours and homely details. Use the Axor LampShower designed by Nendo and its magical union of water and light to emphasise the bathroom's cosy character.